A big part of learning at The Data School is the students teaching what they learn. 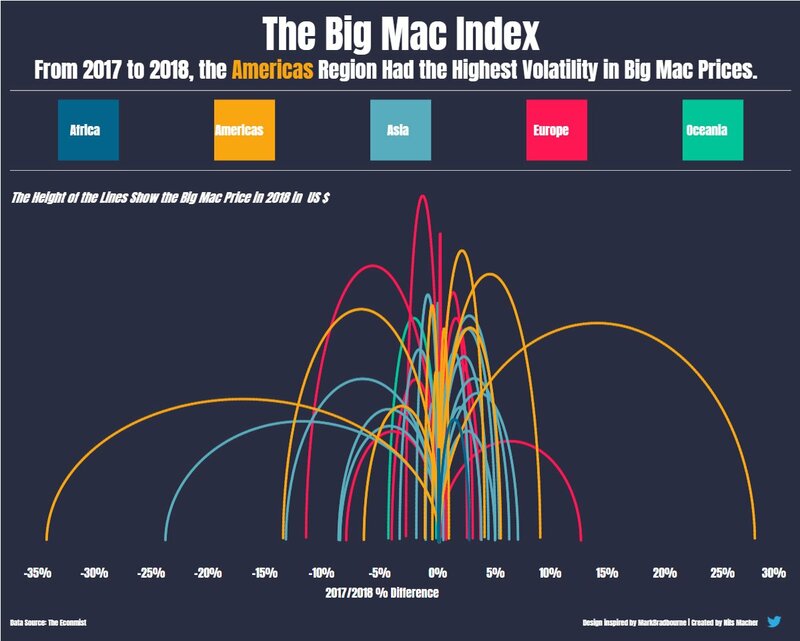 Last week, Nil Macher created this jump plot of The Big Mac Index based on a technique he learned by downloading this viz from Mark Bradbourne and reverse engineering it. Today, Nils taught us how he shaped the data and built the viz, then we each took a Makeover Monday data set and applied what we learned. 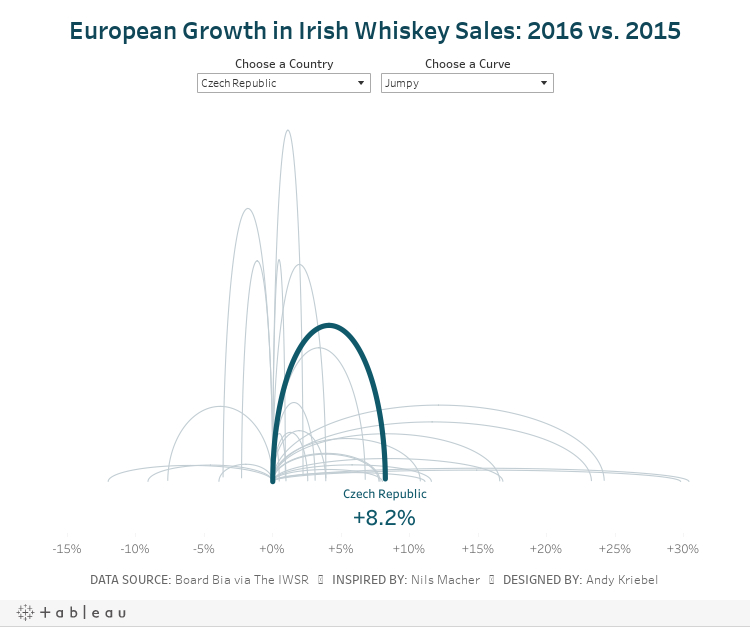 I chose to use the Irish Whiskey sales data from week 11. I then created a jump plot similar to Nils and also found a curvy plot interesting too, so I decided to include both via a parameter. Another fun day of learning! Never stop!